Anovulation is the abscense of ovulation, or failure of an egg to rupture from the ovary at mid-cycle. The cause is lack of progesterone. The ovaries continues to produce Estradiol, (the principle estrogen of fertility), thus causing an imbalance between estrogen and progesterone. This is called estrogen dominance, an excess of estrogen, when unopposed or unbalanced by progesterone. 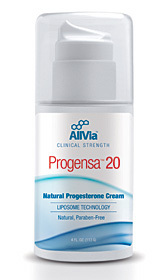 Bioidentical progesterone cream will balance unopposed estrogen levels and when they are in balance ovulation should returned within 3 cycles. ProSoothe is an all natural herbal formula that contains several herbs that work synergistically. Dandelion and vitex,(chaste tree) helps the body remove exogenous,(external excess estrogen)from hormone therapy or contaminated food,(xenosteroids). Milk Thistle yields three main active compounds known collectively as Silymarin, which work in a number of ways to restore liver health. We are exposed to many toxins like chemicals and excess hormones which greatly affect our overall health and build up in the liver, when this happens the liver does not function as well as it should and it is not able to clear the excess estrogen from our bodies and it contributes to the imbalance of progesterone.